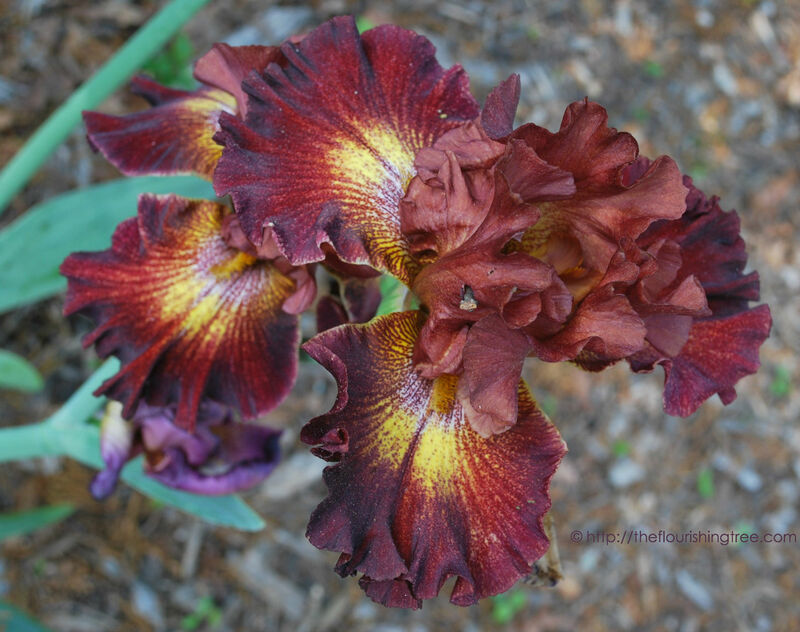 Two years ago, I wrote one of my favorite posts called The riotous garden and shared photos and the story of the garden my husband and I have created in our front yard. The garden has been years in the making and the creating and the trying and failing and sometimes succeeding. A woman whose garden I admired told me once that gardening is equal parts tending and neglecting and knowing when to do each. The last few weeks – while my broken toe has been healing – our riotous garden has seen too much neglect but has also produced so much beautiful chaos in its rush to bloom that I feel undeserving of it all. I thought you might enjoy a photo update of the garden as it looks today. 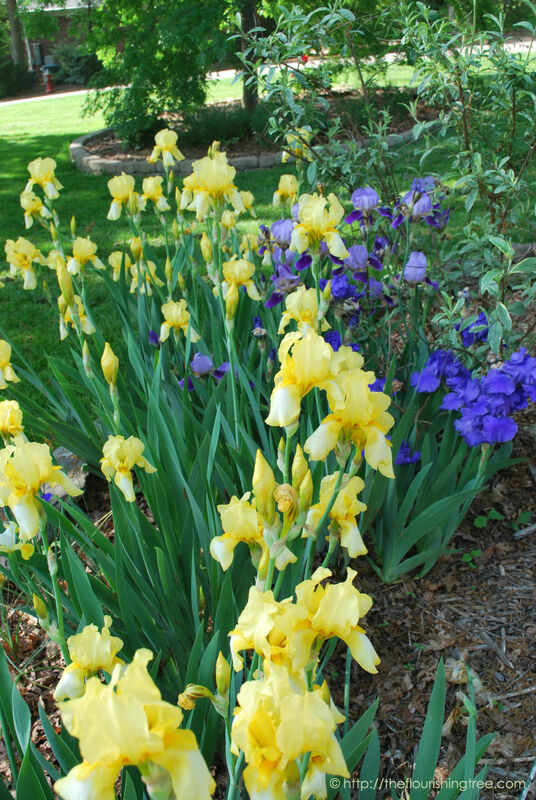 Despite my promise to myself each of the last two years that “this will be the year I divide the iris bulbs,” it still hasn’t happened. I’m vowing to divide them this year, but the neglect has rewarded me with abundant blooms that make me giddy. I’m guessing the irises loved the cold winter. 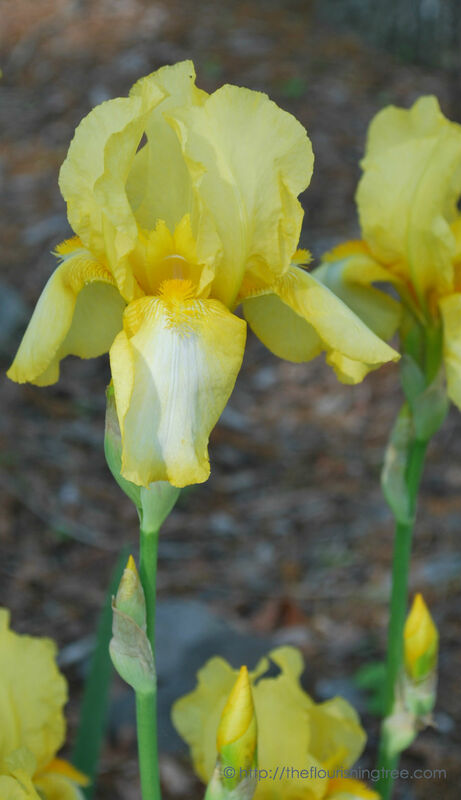 I love how unusual irises are. My mom was upset with me when she first heard I’d bought this iris. “I have plenty to share,” she said. But I’m glad to have this one blooming in my garden. It is the first year more than one of its type has bloomed. 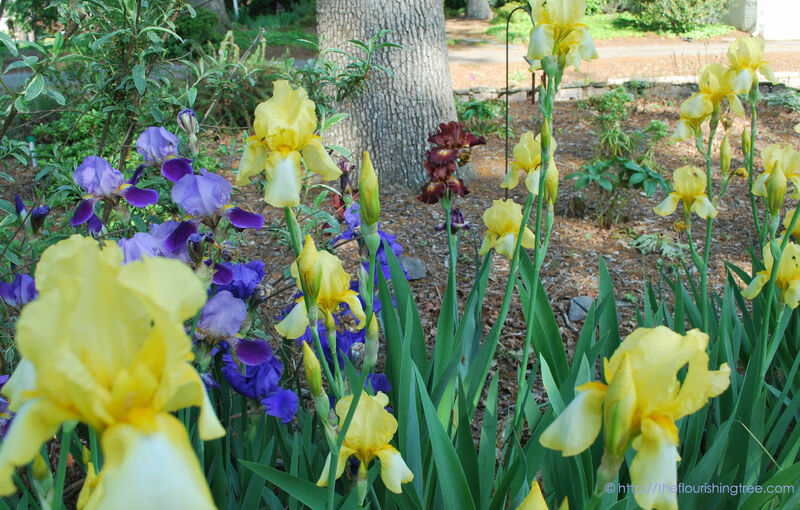 You can see that beyond the irises toward the oak tree, the pesky bare patches still persist. I’ve tried snapdragons with marginal success. Lenten roses with a little better success. Gardenias with no success, but I blame the cold winter for two that I lost right in that area. The weeds appreciate the neglect I’ve shown the garden, and I will have to get in there soon to clean them out. Meanwhile, I’ll dream of what else might thrive riotously in the bare patches. 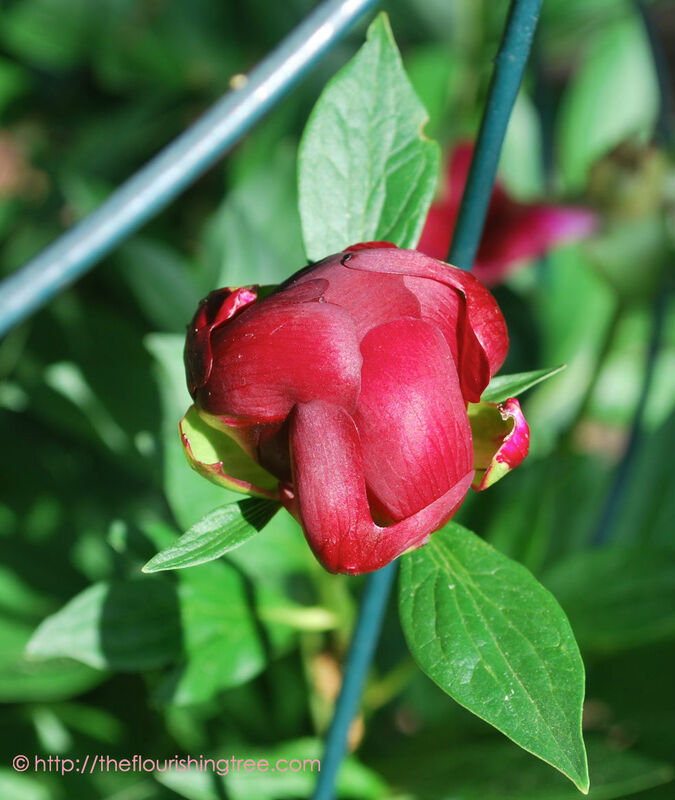 One of my peonies is already putting on a show. I love its bold color. I made my first trip of the year to the local garden center this past weekend for container herbs and flowers. The front porch steps need their own variety of riot, too, and I’ve started with red geraniums. 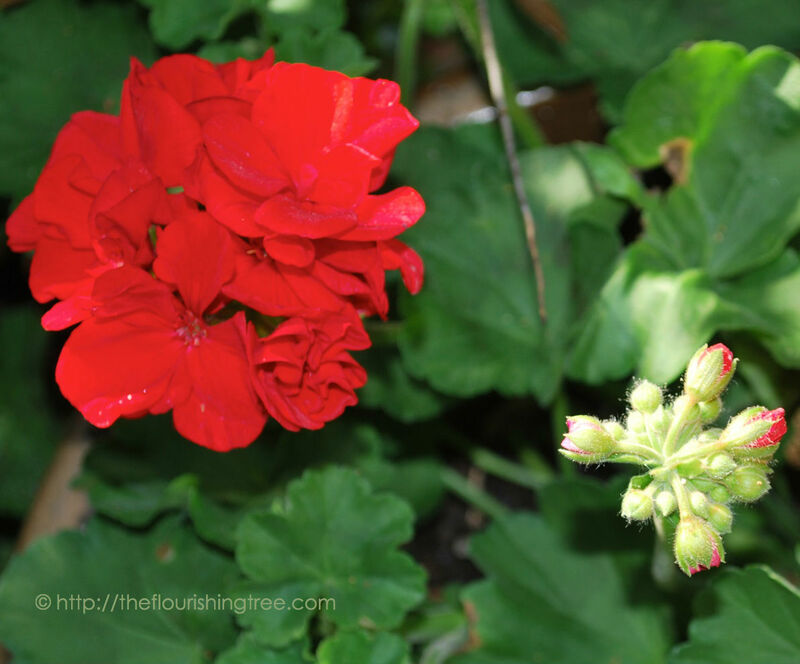 Will you plant red geraniums this year? They can teach a great lesson. In the upper right corner of this photo, you’ll see knock-out roses. I should have pruned them right around the time I broke my toe. I never did, and they’re rewarding me for my neglect with the most abundant blooms I’ve ever seen on them. But I know there’s only so far neglect will go in the garden, and so I’ll tend to them with rose food soon. 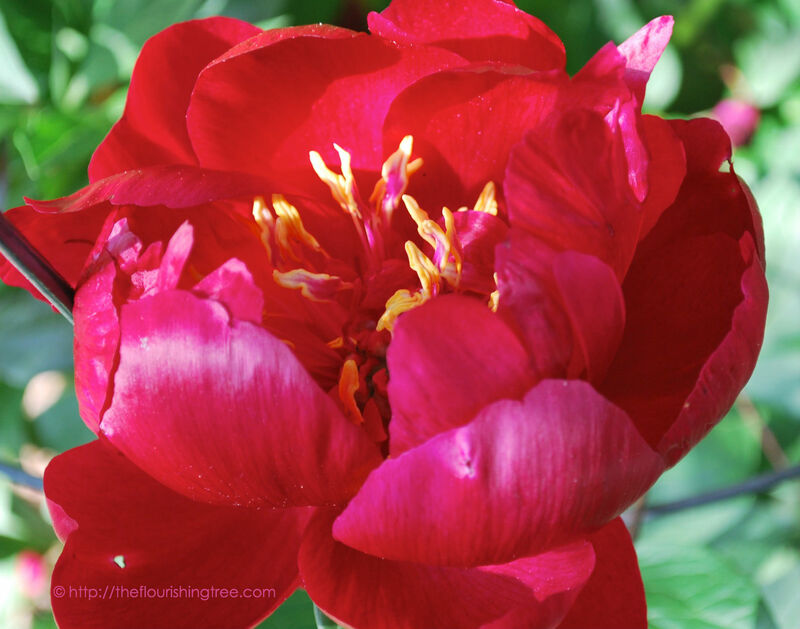 What’s blooming in your garden right now? Is it riotous or subdued? Can you think of any other area of life where a balance of neglect and care can produce beautiful results? I wonder if that practice may just be limited to gardening. 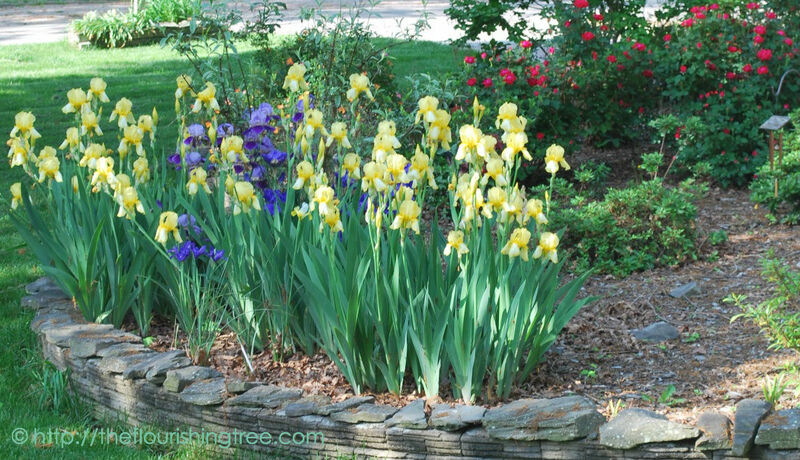 This entry was posted in flourishing tree and tagged blooms, dutch iris, garden, geranium, irises, neglect, peony, riotous garden, roses, Spring, weeds by hopesquires. Bookmark the permalink. Avocados by the hundreds. That sounds fabulous! 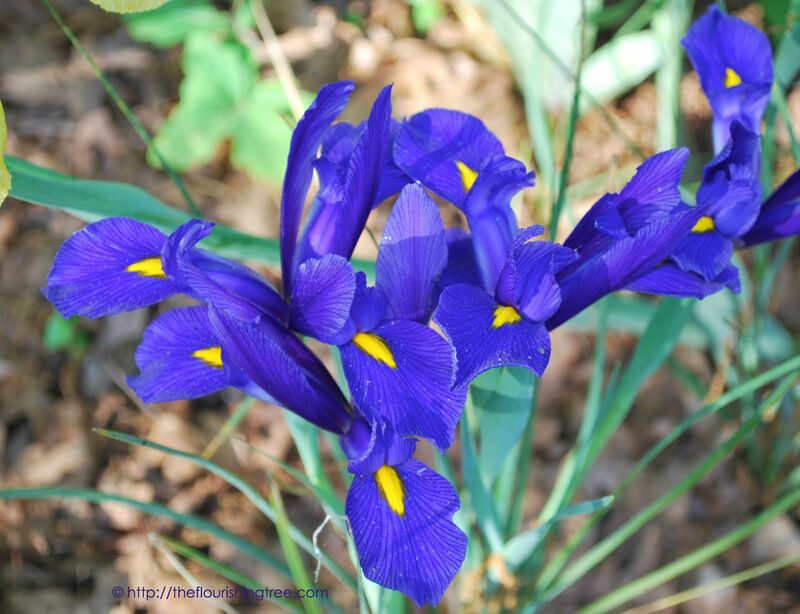 Your photo is so beautiful and it immediately reminded me of van Gogh’s Irises paintings. Very nice! !